Social media marketers from leading nonprofits charity: water, Pencils of Promise, Human Rights Campaign, International Rescue Committee, DoSomething, WaterAid, and Goldhirsh Foundation share their best social media strategies for engaging nonprofit audiences. Social media marketing isn’t just for fast food brands and fashion retailers. It’s also a place where nonprofits can share their stories and engage supporters. After all, over three billion people—roughly 40% of the global population—use social media to connect with others. Those are three billion potential advocates and donors waiting to be inspired by your message. Social media has also given birth to many groundbreaking social, political, and cultural campaigns that drive change across the world. That means nonprofits should fit right in, finding a home for their inspiring discussions and revolutionary causes. Still, it can be hard for nonprofits to stand out among flashy movie promos and cute cat videos—especially when they’re trying to spread awareness about a difficult or controversial issue. That’s why it’s so important to be smart about your social strategy. 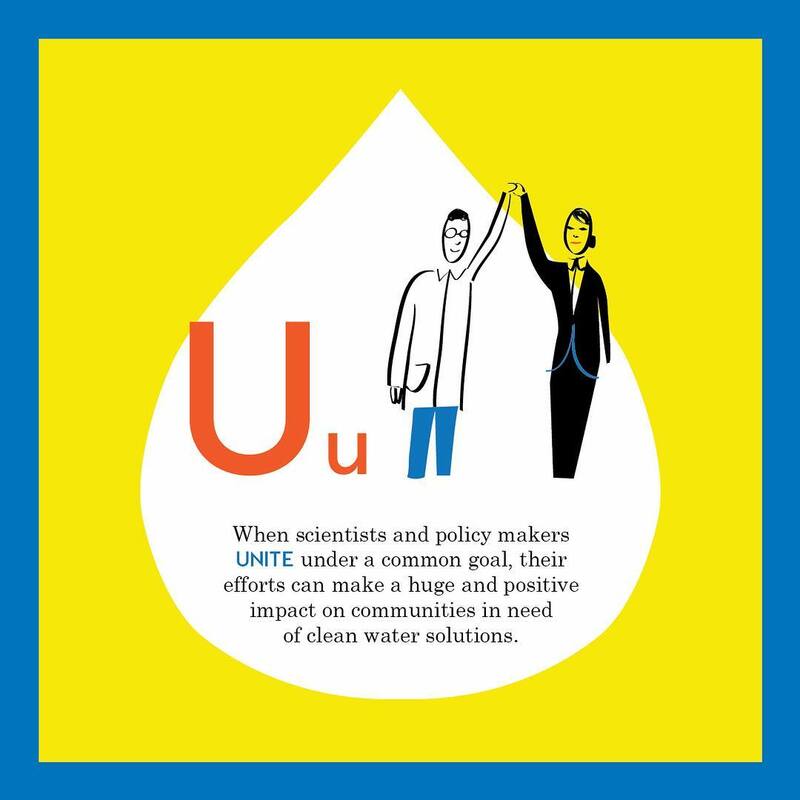 To help, we talked to social marketing experts from leading nonprofits like charity: water, Pencils of Promise, and Human Rights Campaign about how they use social media to reach and grow their audiences. Here are 10 of their best insights. Twitter is a great platform for hosting real-time discussions. That’s why Goldhirsh Foundation runs “Twitter parties” to get people talking about its mission. The nonprofit provides grants to emerging talent in Los Angeles who can help build a better future for the city. And who better to hear from about L.A.’s core issues than L.A. residents themselves? “We created Twitter parties to engage Angeleno followers, and also to bring other nonprofits into these conversations that we guide,” said Megan Park, Social Innovation and Design Coordinator for the Goldhirsh Foundation. Last Spring, for example, LA2050 partnered with Heal the Bay—a local nonprofit that helps protect the coastline and revitalize waterways—to host a #KnowTheFlow Twitter party. The two companies created original Twitter graphics to promote the event and encourage people to participate. 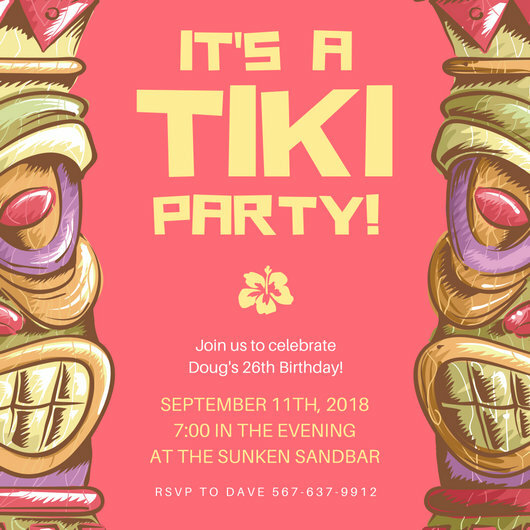 Create your own Twitter party invitations in Canva with templates like Pink Tiki Invitation and Surprise Party Invitation. During the Twitter party, LA2050 and Heal the Bay tackled everything from where your faucet water really comes from and how to adapt during times of drought to recent water conservation movements and how water pollution impacts our health. #KnowTheFlow is just one of 20 Twitter parties that LA2050 has hosted since 2013. This strategy has helped them gain social media followers, gather feedback, and inspire new supporters to join the cause. Campaigner toolkits are downloadable assets that anyone can use to launch campaigns on behalf of your organization. They put the power in your supporters’ hands to help spread your message and increase your reach. 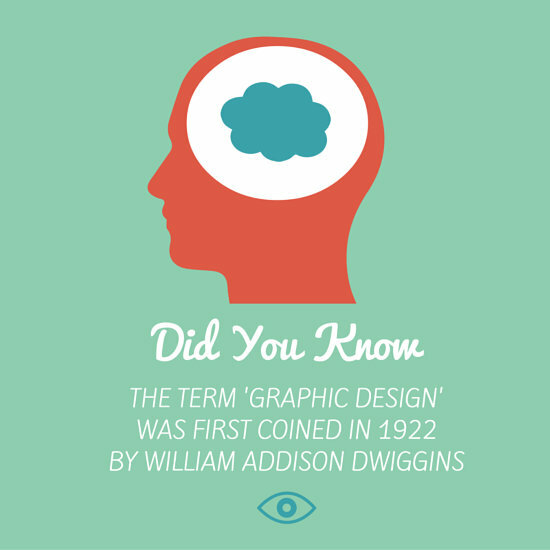 And if you want to increase that reach on social media, then include some ready-made social graphics in that toolkit! Just look at Pencils of Promise, a nonprofit that builds schools and provides quality education to children around the world. Their Campaigner Toolkits include downloadable photographs, logos, Facebook cover graphics, and Twitter backgrounds. The nonprofit also invites supporters to pledge their birthday and raise money instead of gifts. For every $75 raised, a child in need receives a year of education. 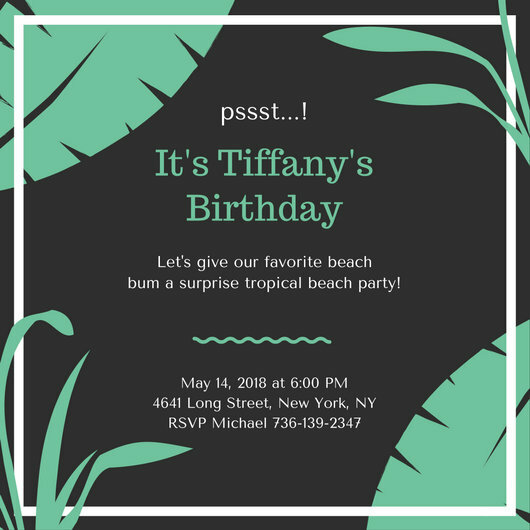 Everyone who launches a birthday page is given suite of ready-made graphics that help them promote their campaigns. This one, for example, tells family and friends that they have five days left to donate. 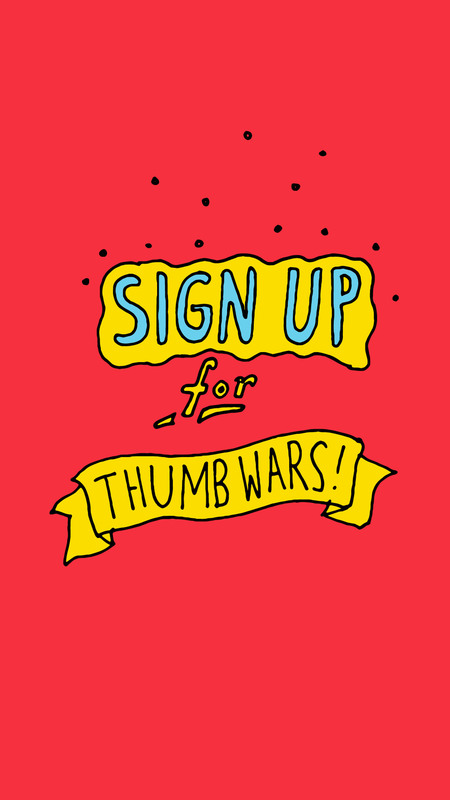 With these resources, Pencils of Promise makes it as easy as possible for supporters to share their campaigns and update their networks as they near their goal. Social media moves quickly. If an opportunity for you to join – or lead – a conversation appears, you want to be able to take it. That’s where pre-made templates come in. With a collection of ready-to-go graphics at your disposal, you can simply pick the right one, customize it, and publish it on your social channels in minutes. 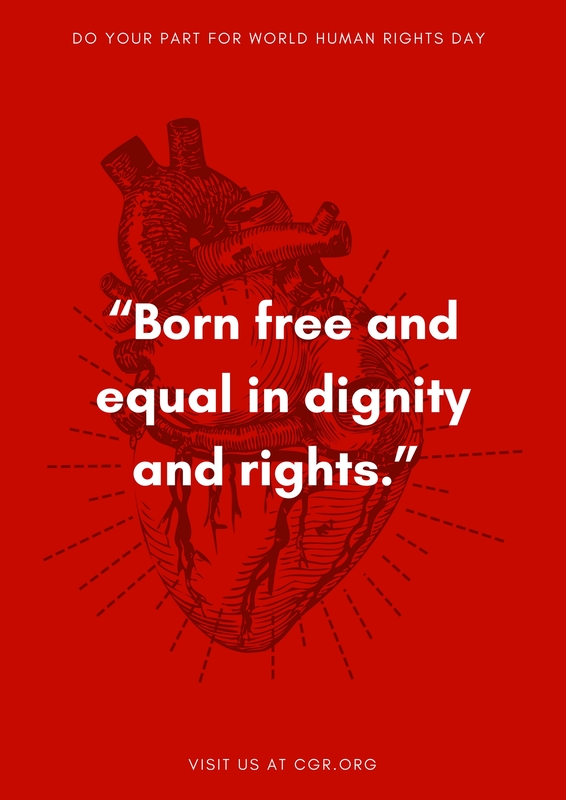 The Human Rights Campaign (HRC)—a nonprofit that advocates for LGBTQ equality—knows this well. The organization uses social graphics mobilize its community and move the needle in real time. The HRC uses specific templates for graphics about burning issues like anti-LGBTQ political candidates and foreign crises. These treatments have heavy shading and a black, red, and white color palette, conveying a menacing look. For example, the nonprofit recently reported violence about LGBTQ community members in Chechnya. 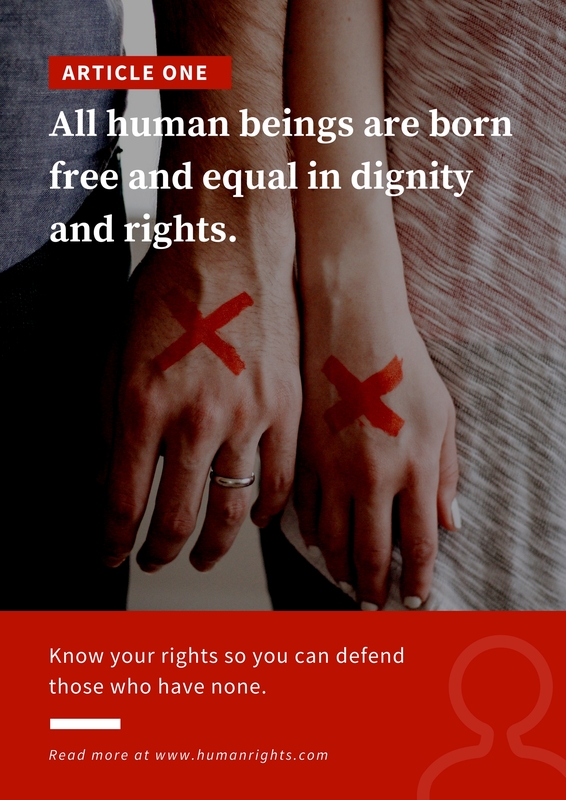 Create your own campaign posters in Canva with templates like Red Hearts Human Rights Poster and Red and White Hands Photo Human Rights Poster. By sharing graphics and information on social media, they were able to mobilize a group of people to the Chechnyan embassy with rally signs. Nonprofits face a unique challenge on social media: inspire people with real stories, but don’t turn them off with too much devastating information. 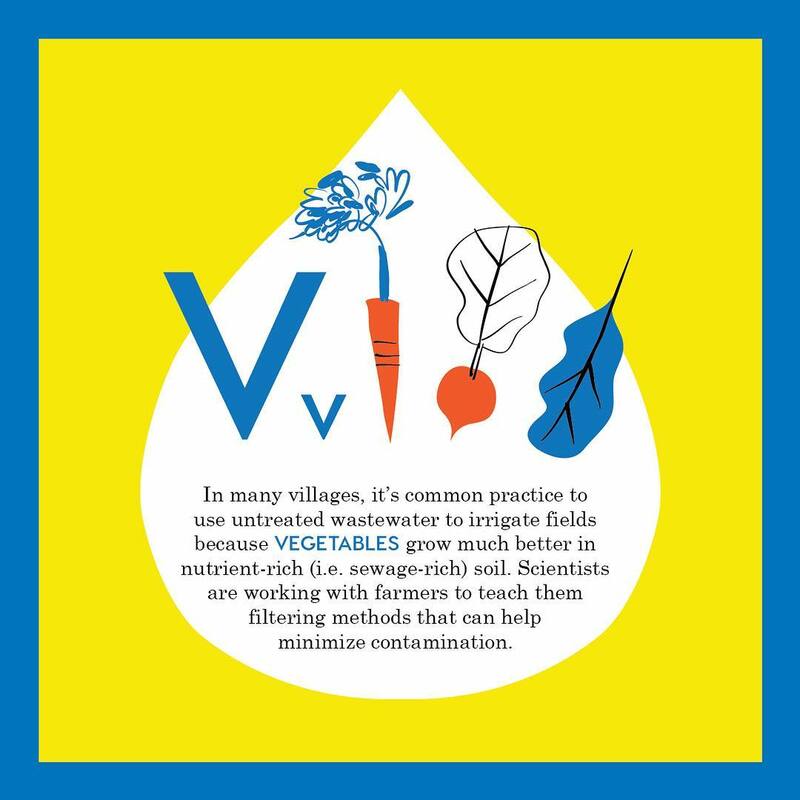 WaterAid—a nonprofit that builds wells and delivers clean water to those in need—uses this strategy as well. Over on Facebook, WaterAid Creative Strategist Joélle Azoulay found that people respond well to images of smiling girls with running water. Nonprofits have a lot of information to share. But there’s a fine line between educating your audiences and boring them with an overload of data. 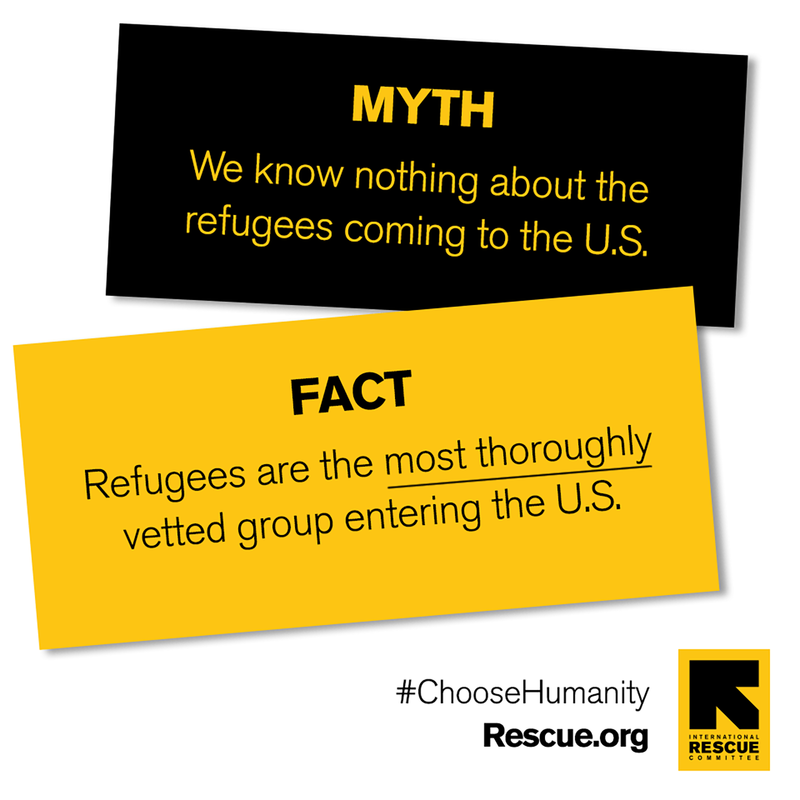 The solution is to break down pieces of information into engaging graphics – like the International Rescue Committee does. 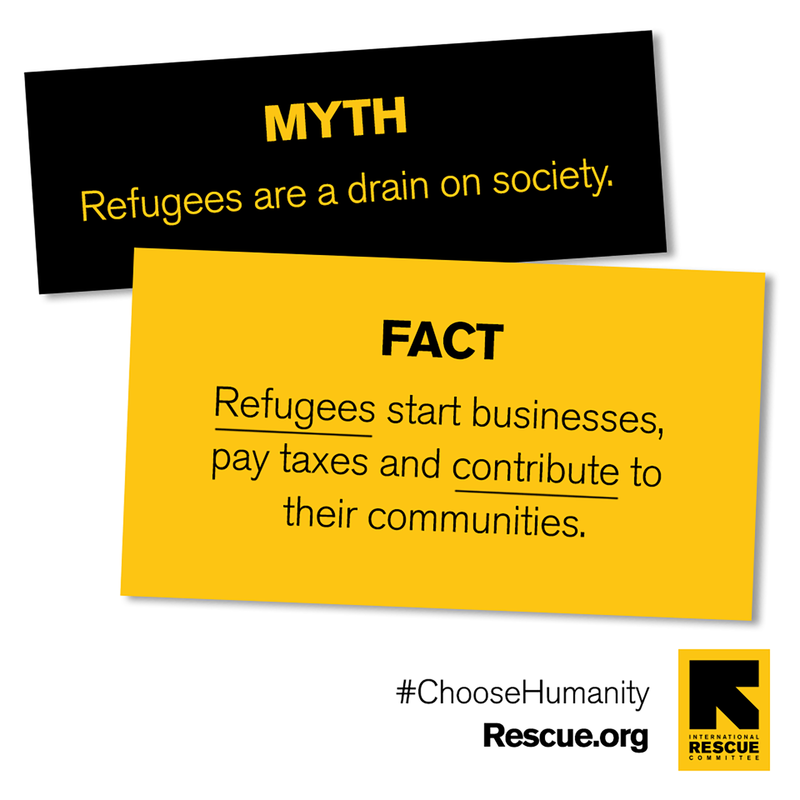 The nonprofit—which provides aid for humanitarian crises across the world—launched a series of “Myth vs. Fact” graphics, debunking common misconceptions about the refugee crisis. 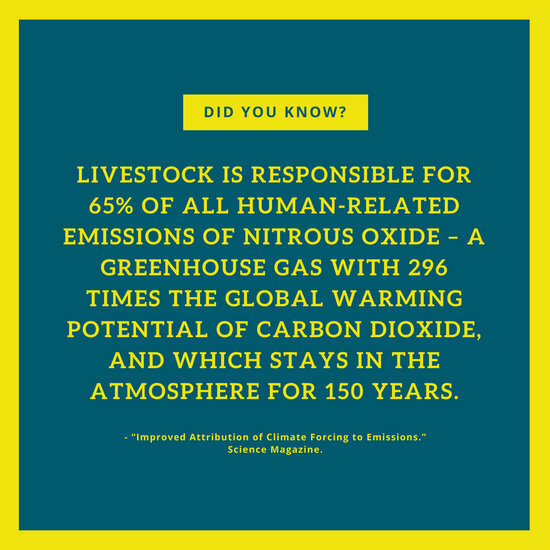 Create your own fact-based social graphics in Canva with templates like Illustrated Head Social Media Graphic and Bordered Global Warming Facts Social Media Graphic. Pencils of Promise rarely uses social media to ask supporters to donate. But when they do, they make sure to use a clear call to action. They ask for donations during their two pillar campaigns: Back to School, which runs from August to October, and Season of Promise, which runs from November to January. Here’s some good news: You don’t have to do all the work yourself! If you encourage your audience to make their own content on behalf of your organization, you can increase your reach and show supporters that you care about their unique perspective. That’s what happened when the HRC’s iconic equal-sign logo went viral back in 2013. The nonprofit was planning for a rally in Washington D.C. as the Supreme Court was hearing arguments in two marriage equality cases. They were working in coalition with other groups, and all agreed to use red – for love – as a branding color for event signage and T-shirts. “And kind of on a whim, our Marketing Director at the time said that we should do something on our Facebook page,” said Robert Villaflor, Senior Design Director for the HRC. The HRC changed its Facebook profile photo to a red version of its logo and asked others to followed suit. Create your own red logo templates in Canva with ready-made designs like Red Circle Icon Community & Non-Profit Logo and Red Cross Icon Medical Logo. According to Facebook, 3 million people shared the logo and 800 variations were made—by followers, celebrities, brands, and politicians. On social media, nonprofits often post a mix of original photography and colorful graphics. 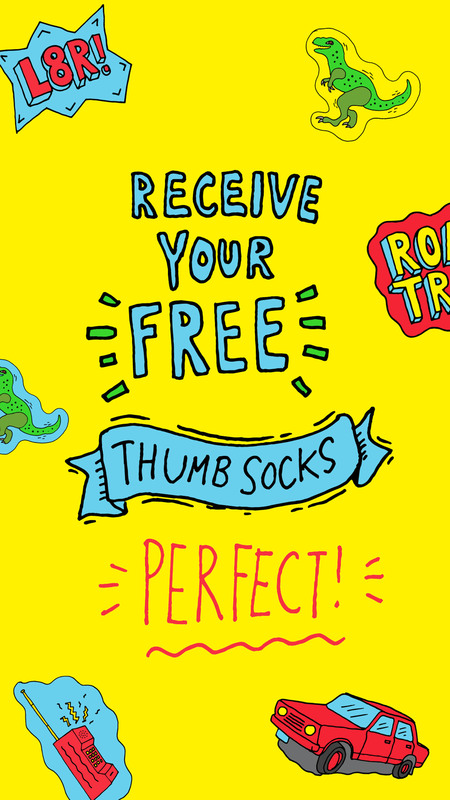 When they want to make a specific campaign stand out, however, they’ll venture into custom illustrations—created either by someone on their own team or a commissioned artist. 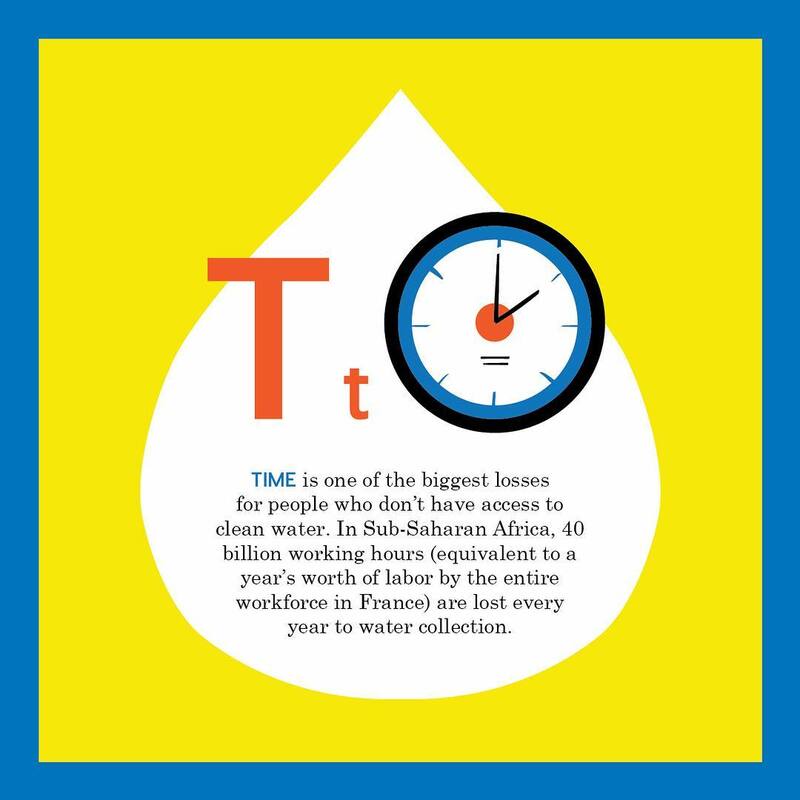 WaterAid, for example, partnered with supporter Libby Vanderploeg, who illustrated 26 unique graphics for the “water alphabet.” The nonprofit posted one letter on its social platforms each day as a countdown to #GivingTuesday, a global day of giving on social media. This was a unique and creative way to educate supporters about WaterAid’s cause. 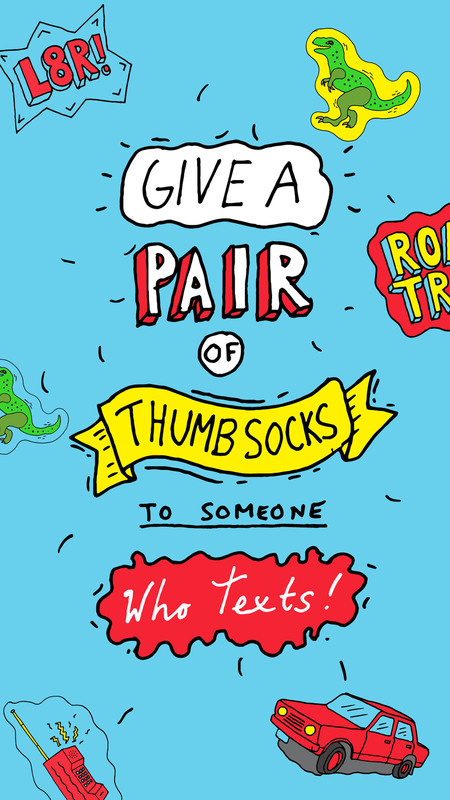 These illustrations for DoSomething’s Instagram Stories are eye-catching and fun to interact with. They hold their own in a social feed that might include pictures from a friend’s party or fun animal videos. Every minute, 3.3 million Facebook posts, 450,000 Tweets, and 66,000 Instagram photos are uploaded to the Internet. How do you get people to recognize your nonprofit among the noise? Develop a consistent brand look. The IRC, for example, uses a yellow, black, and white color palette. Just look at its Instagram page. All of the posts together convey a cohesive visual narrative. “Our design uses a clean graphic style and features strong photography combined with bold typography which helps us communicate with authority, immediacy, authenticity and power,” Nowacki said. WaterAid is also rolling out a new global brand in 2018, and they’re Canva using templates to keep the design cohesive. “Canva has actually been a huge help in our brand rollout plan as we aim to make templates accessible to non-designers across the organization,” Azoulay said. On Canva, Azoulay can save brand palettes and logos within the platform, so they can easily be applied to any design. This will be especially beneficial in sharing the new, expanded color palette. For example, she created an Instagram template for partners to promote their Choose a Challenge campaign with US universities. 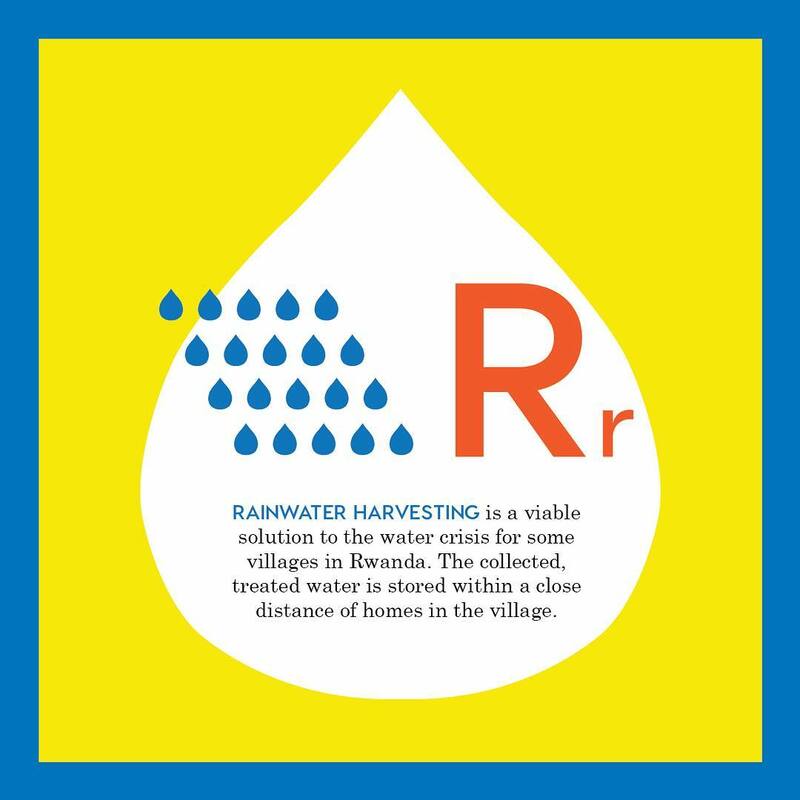 With these tools at their fingertips, any WaterAid representative or partner can build a design that best conveys the brand. If you aren’t sure what your audience likes, just ask them! That is, use A/B testing to see which kinds of posts generate the most engagement, and then optimize your strategy accordingly. This worked well for the IRC. 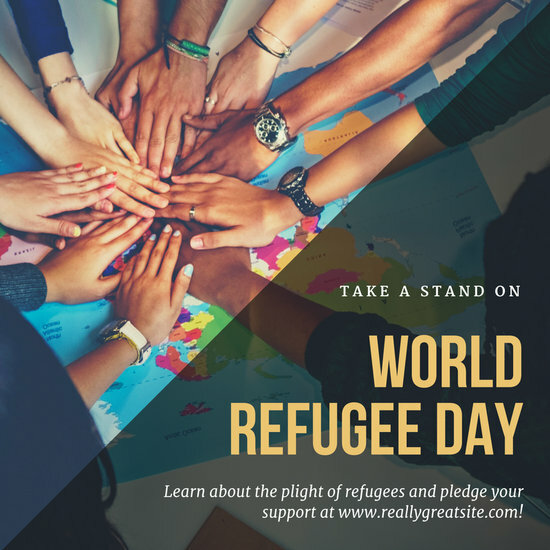 On World Refugee Day, Nowacki and her team wanted to share an image that actress Lena Headey from Game of Thrones had helped create when she visited a refugee came in Greece. But they weren’t sure whether to use a yellow filter on it or not. On the one hand, it incorporated a core color from their brand palette. But on the other, it muted the images of refugees. So they created two versions: one with the yellow filter and one without. To see which design resonated most with their audience, they tested both versions via Facebook ads. 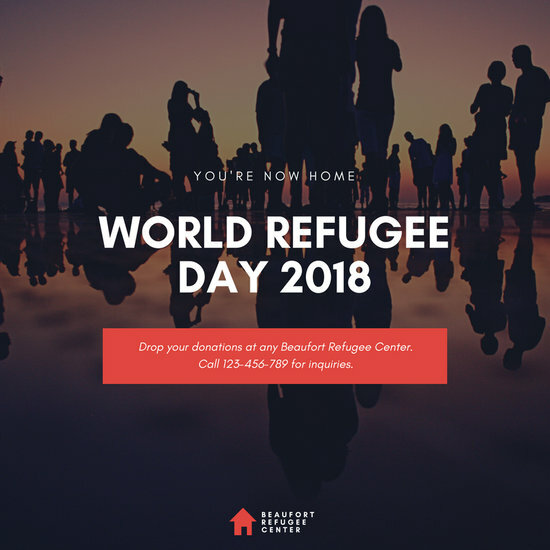 Create your own social graphics for refugee support in Canva with templates like Black and Orange Unity World Refugee Day Social Media Graphic and Red Text Overlay World Refugee Day Social Media Graphic. The winner? The one without the yellow filter. “The performance on the winning creative was clear so that we could move forward and use this treatment in our share graphics, landing page and profile images,” Nowacki said. Social media doesn’t have to be intimidating. It’s the perfect place for nonprofits to share their missions, engage supporters, and build communities of advocates. Social platforms have also become catalysts for many cause marketing campaigns, which means nonprofits should feel right at home. Still, you have to be smart about your approach since it’s easy to get lost in the noise of billions of conversations. 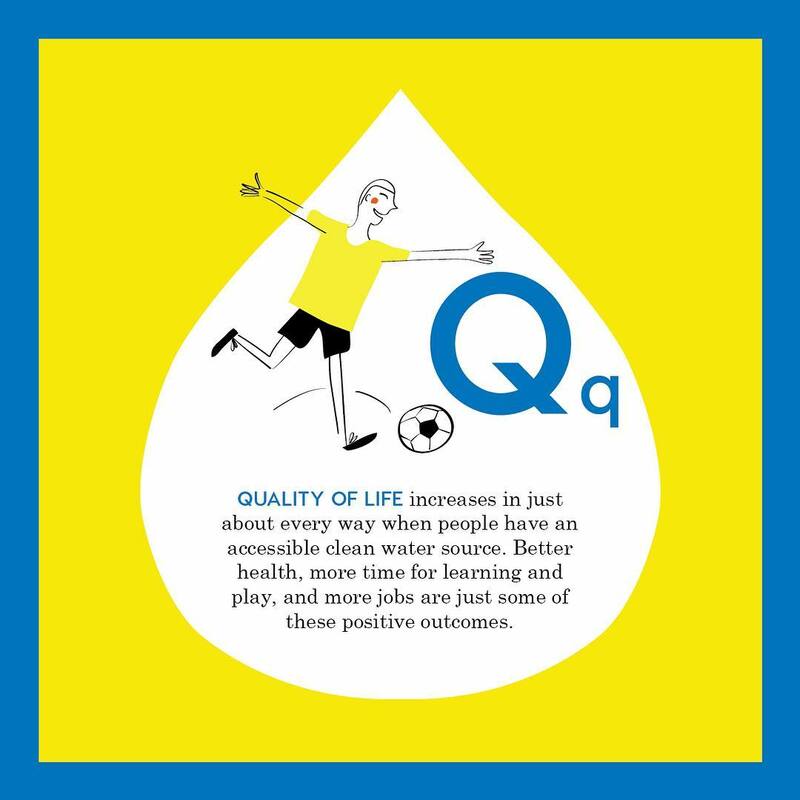 That’s where these insights can help. Use these pearls of wisdom from leading nonprofits to launch brand-new campaigns or revise strategies that are already in your toolbox. Billions of potential supporters are waiting.